Providing home enthusiasts nationwide with award-winning programming, Russell Morash has been called the father of “how-to” and “know-how” television. As the founder of This Old House in 1979, he introduced the premier home improvement television series to America and continues to inspire a legion of homeowners who never knew they could do it themselves. While Russ stepped down as executive producer and director of This Old House and its addition Ask This Old House in 2004, he was not content to retire completely from television. Today he still serves as executive producer and director of The New Yankee Workshop, now in its 18th season, which features the craftsmanship of host Norm Abram. Russ, whose forebears were carpenters and shipwrights, conceived the idea of This Old House in 1976 while remodeling his own home. The first 13-week This Old House series, featuring the renovation of a Victorian home in the Dorchester area of Boston, set a new ratings record for WGBH when it was broadcast locally in 1979. The series aired nationally on PBS the following season and quickly became a perennial favorite. Prior to tackling home renovation, in 1963 Russ teamed up with a budding cookbook author with an unmistakable accent and a marvelous sense of humor to create The French Chef with Julia Child. For the next 30 years Russ and Julia created a number of cooking classics for television, which continue to represent the gold standard of that genre. In 1975, Russ teamed with Jim Crockett to begin Crockett’s Victory Garden, later The Victory Garden, a televised gardening adventure which continued for 30 years until Russ hung up his trowel in 2003. The WGBH program continues to be seen on PBS. 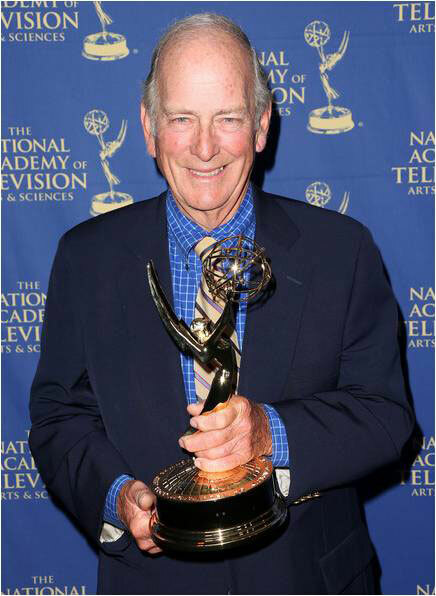 Along the way, Russ has accumulated 14 national Emmy Awards, including 11 for “Outstanding Director of a Service Show.” He currently ranks 12th on the National Academy of Television Arts and Sciences list of Top 100 Daytime Emmy Award winners. Russ is a “fellow” of the National Association of Garden Writers and has been honored with the prestigious George Robert White Medal for 2005 by the Massachusetts Horticultural Society. A native of Lexington, Massachusetts, Russ trained as a theater director at Boston University, where he received a Bachelor of Fine Arts degree in 1957. He joined the WGBH staff that same year, and in 1958, was made a producer/director—a hands-on role he has never relinquished. Russ lives with his wife, Marian, formerly known as The Victory Garden’s “Chef Marian,” in an 1851 farmhouse they restored 30 years ago and plan to tackle again when they find the time. The Morashes have two daughters and five beloved and exceptional grandchildren.